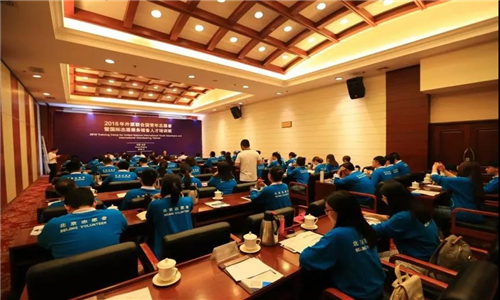 In response to "The Belt and Road" initiative to explore effective path for Chinese volunteers participation in international voluntary service, cultivate international core volunteer talents, and promote the internationalization of voluntary service, the Foreign Affairs Office of the People’s Government of Beijing Municipality and Beijing Volunteer Service Federation (hereinafter referred to as the "BVF") co-hosted 2018 Training Camp for United Nations International Youth Volunteers and International Volunteering Talents in Beijing from 16th May to 21st May. 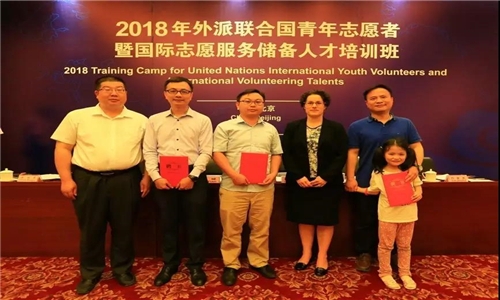 The training camp was supported by the United Nations Volunteers program (UNV) and China International Center for Economic and Technical Exchanges (CICETE). Course content includes 4 areas: domestic and international situation and policy, The "Belt and Road" national cultural customs and volunteer work, the voluntary service concepts and skills, and emergency response and psychological adjustment. 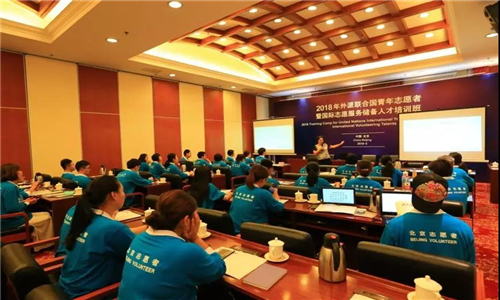 The lecturer team consists of Regional Manager of the United Nations Volunteers programme and some experts from Peking University, China Foreign Affairs University, Beijing Normal University. There are also heads of social organizations, who engaged in public welfare activities in countries along "Belt and Road" area. These organizations are outstanding members in the Sprouts programme initiated by BVF, such as the China-Africa Business Council, the Common Future volunteer service project, the Sri Lanka Taichi volunteer service project, etc. The course introduces the theory and practice of international volunteer service in a variety of forms, including expert lectures, field visits and team building. 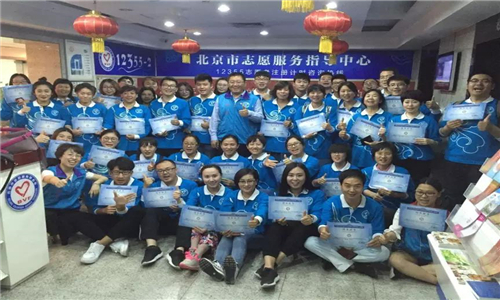 Through training, students had a better understanding on the developmental status, organizational framework, cooperation projects and strategic significance of international volunteer service. 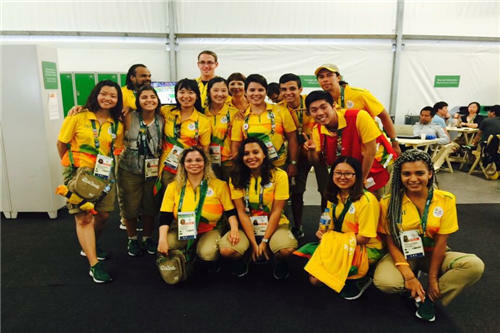 They have mastered the basic knowledge of international volunteer service, explored and designed international volunteer service projects, forged deep friendship and fully prepared for the expatriate. After the training, 3 United Nations International Youth volunteers will be deployed to United Nations office at Cambodia, Thailand and Kenya to carry out half-year volunteer service to support the youth development, establishment of volunteer information platform and knowledge management and research activities at local offices. 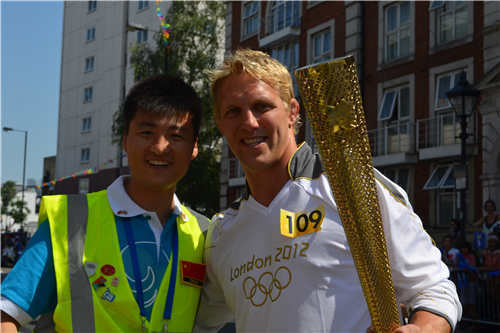 This training is an essential measure for the internationalization of Beijing volunteer service. As the cooperation with United Nations Volunteers organization entered into the 11th year, BVF continues to deepen the international development strategy to accelerate the internationalization of social organization. The 19th CPC National Congress proposed to strengthen the public diplomacy and cultural exchanges by telling Chinese stories and improving national soft power. Social organizations are encouraged to develop internationally and establish people-to-people connectivity in order to strengthen the social foundation for relationship between countries. 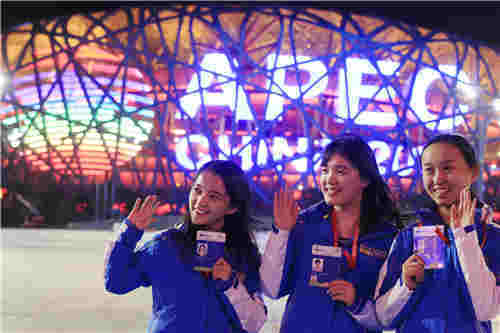 The "Belt and Road" Initiative pointed out that the people-to-people connectivity could be built through volunteer service. The voluntary service in Beijing started early with the foundation of international development. BVF is committed to exploring and establishing a new model with party and government support, social dominance and pluralism. 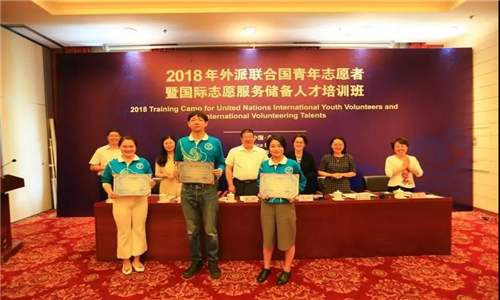 The three United Nations International Youth volunteers were co-selected by the United Nations Volunteers programme (UNV) and Beijing Volunteer Service Federation (BVF). The project is supported with recruitment, training and outputs transferring in volunteer service with deep coordination from multiple partners. In 2018, BVF has announced the guidance and measures of management on the UN Youth Volunteer project, and launched the first expert team as mentors for the deployed volunteers. The expert team consists of specialists in project management, capacity building, consultation, outcome management and local support, which will provide full-scale guidance and supervision for the volunteers. These actions have institutionalized the past experience on UN Youth volunteer projects, which help to track the project progress and assessment the outcome management. To participate in global governance requires a large number of professionals who are familiar with the party’s and national policies, understand China's national conditions, possess a global vision, as well as proficiency in foreign languages and international law. BVF actively train young talents for international voluntary service. As early as 2005, BVF sent 12 young volunteers to Ethiopia to participate in the first Chinese youth volunteer service overseas projects in Africa; BVF supports Chinese volunteers to participate in the Olympic Games in London, Sochi, Rio and Pyeongchang as well as the medical volunteer service in Africa. In 2017, BVF has successfully deployed the first batch of 2 Chinese UN international youth volunteers to the United Nations Asia Pacific office and Myanmar office, to engage in the knowledge and community risk management and other aspects of 6 months’ work. After this training, the second batch of 3 Chinese UN international youth volunteers will go to UN offices in Cambodia, Thailand and Kenya for half a year for volunteer service in the establishment of information platform, knowledge management and youth development. Also, they will participate in management and coordination in international projects. In the future, BVF will continue to train and select outstanding volunteers, participate in international voluntary service, understand the rules of international organizations and explore the diversified paths to cultivate international talents. In 2015, the United Nations adopted the "2030 Sustainable Development Goals agenda ", explicitly requested the voluntary service organizations as a participant to promote sustainable development goals. BVF has established cooperation projects with UNV since 2007. As of 2018, it has established a cooperative relationship with more than 50 countries and 87 regional voluntary organizations. 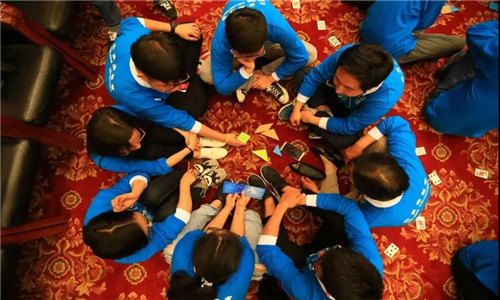 In 2017, BVF and UNV jointly held the second International Volunteer Service Exchange Conference in the Belt and Road Era (IVSEC). Around 230 heads of volunteer service organizations, government officials, experts and scholars from five continents from 33 countries attended the conference. The conference fully demonstrated the achievements and experiences of Chinese volunteer service and expressed China’s voice in the international field of voluntary service, signifying the embodiment of a broad sense of international consensus. Connections among countries and cities related to "The Belt and Road" were strengthened in the Conference. It established a closer partnership and multilateral cooperation network and take neighboring countries as the key. BVF’s strength lies in disaster relief, medical hygiene youth and youth volunteer services enabling BVF to initiate volunteer assignment, facilitate project cooperation and capacity building. The mechanism for China to participate in international volunteer service will be normalized. Under the framework of BVF-UNV joint project, BVF has initiated the Sprouts programme, which aims to connect the projects and organizations in international volunteer service so as to form a multi-sided supportive platform and network for a facilitating environment. 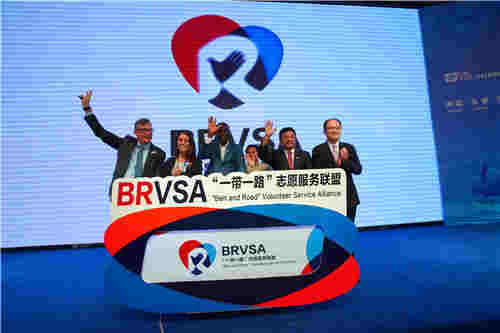 The network would promote the international exchange and cooperation on volunteer service, to encourage and attract more volunteer organizations from civil society and to strengthen the programmes of volunteer organizations in countries along the BRI. BVF will continue to do a solid job of research, play the role of cohesion and solidarity and consolidate the advantage in international volunteer service area. BVF will accelerate its internationalization pace, serve the needs of youth service development and assist in international capital exchange center to better support "The Belt and Road" initiative.